The Codex Germania unearths the mythological realms of the ancient Germans. 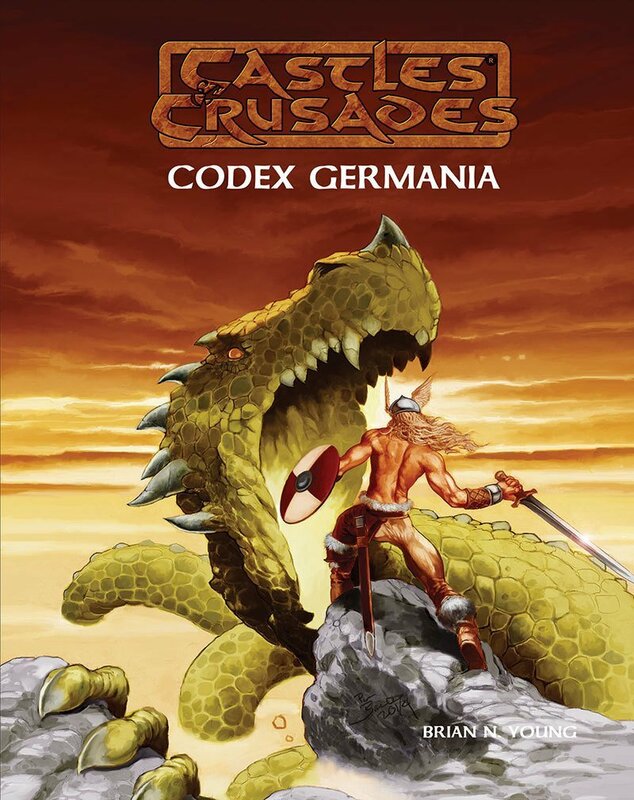 From the murky forests of their beginnings rise the myths, the magic, gods, goddesses, monsters, heroes and legends of the ancient Germans, all brought to life for your Castles & Crusades game. Bring the Germanic World to the table!